While at a recent soirée, Athiya was photographed in a Massimo Dutti shirt, one that she teamed with a Zara blazer and pair of Levi’s denims. Her accessories for the evening included jewelry by Misho, a Fendi bag and Aldo heels. 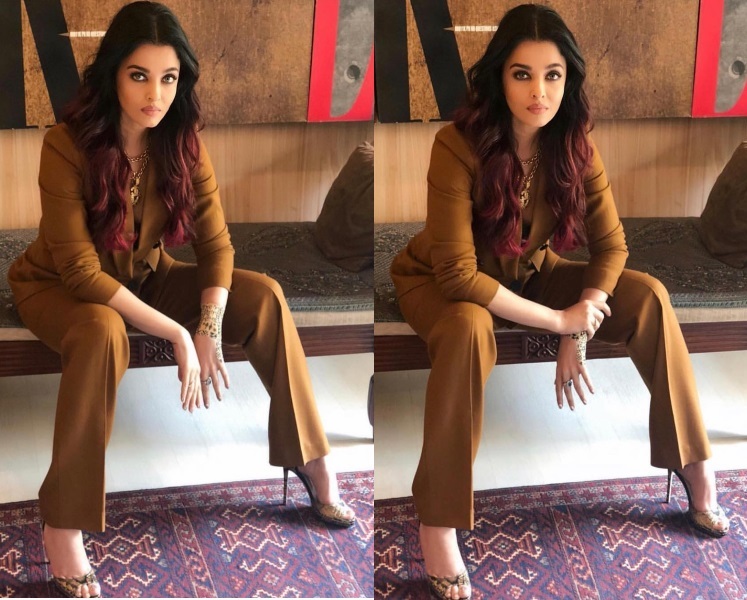 Ms. Shetty can make pretty much anything work but unfortunately, this wasn’t one of those looks. The separates didn’t really come together well. Had she swapped the jeans for a darker wash, it would’ve worked. 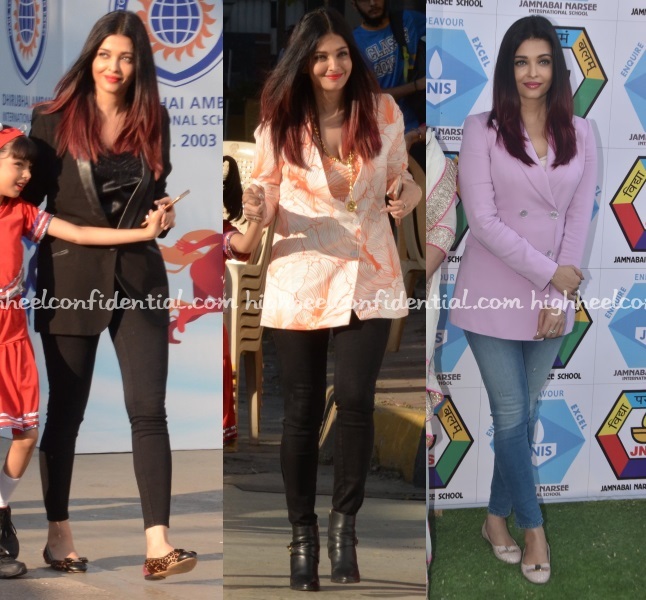 It’s been a string of blazers and denim looks for Aishwarya as she attended school annual day functions. Have a favorite? Speaking of blazers, wish we had better pics of the Massimo Dutti pant suit she sported recently, she sure looked good in that! Catch another full-length pic here. Sonakshi attended the screening of Loveyatri on Wednesday evening wearing a floral dress from Massimo Dutti with Monrow sandals and jewellery from Eina Ahluwalia. The floral print dress itself felt very meh, but she looked nice in it, nevertheless. Recent round of movie promotions had Anushka teaming her multi-color Zara knit with Massimo Dutti separates. Understated make-up and Oscar Tiye sandals rounded out the actor’s look well. Nothing to fault here, Anushka looked good!